Whether on the ground or in the air, SameDayCourier.com makes sure that your orders arrive by their deadlines and in good condition. SameDayCourier.com combines rapid ground transportation with the ability to charter or schedule air shipments at the pace that works best for you. As a same day courier service, we value speed and predictability along with safety, maximizing all three of those outcomes as we direct your critical goods to their destination. By working with us, you can raise the overall level of shipping efficiency while finding quick, effective solutions whenever you face a logistical emergency. Same day couriers all pride themselves on swift service, but such a claim can mean wildly different things depending on who makes it. 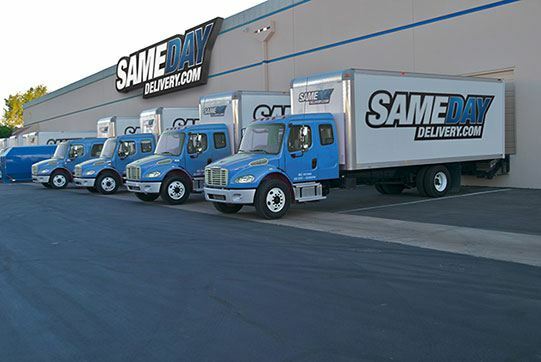 For some, “same day service” indicates only that their orders arrive within a few hours on average; your delivery times can vary wildly for each job, with some orders getting there well ahead of schedule and others not arriving until long after they’re due. Even a same day courier that consistently keeps its swift service commitments may make questionable sacrifices to do so. A courier that moves at unsafe speeds and does little to prevent trucker fatigue puts your goods at serious risks just to meet a deadline. A truly effective same day courier service must balance the need for speed with equally important outcomes like safety and predictability. Failure to achieve each of these goals can seriously set your company back. If your goods aren’t kept safe, they may be less valuable or even completely useless when they arrive. Likewise, orders that are not predictable, even if they are fast on average, will cost your company considerably in adjusting to new information. You cannot afford to accept less than the best in any of these areas. SameDayCourier.com achieves all aspects of quality shipping. We store your goods securely, making sure that they do not become damaged no matter how turbulent the ride gets. We also take pains to avoid delays and provide accurate updates so that you have no trouble making plans. Finally, we maximize speed, not only by finding the most efficient ground transport options but also by chartering or scheduling air cargo flights for especially distant deliveries. Through these and other same day delivery services, we resolve even your most challenging shipping needs with ease. Dual Drivers - Whenever one of our trucks needs to cross a significant distance, we require a team of two drivers to operate it. We then mandate that those drivers share the work equally, with each taking his or her turn behind the wheel. This way, both of these employees have a chance to rest, ensuring that they have all the energy and focus they need to operate the truck safely. This decreases the risk of an accident, and it also allows us to drive through the night for deliveries requested at late hours. Tenacious Tracking - Besides relying on two drivers for ground deliveries, we invest in advanced technology to keep an eye on your order while it is en route. These devices, which work for both ground and air deliveries, empower us to identify and correct for any obstacles we encounter on the way. They also let us send you accurate updates on the position of your goods and their likely time of arrival. Trucks & Planes In Tandem - Even if most of your delivery will be made by plane, you still need trucking to get it to and from the airport. We provide just such trucking along with the support to coordinate cargo flights. 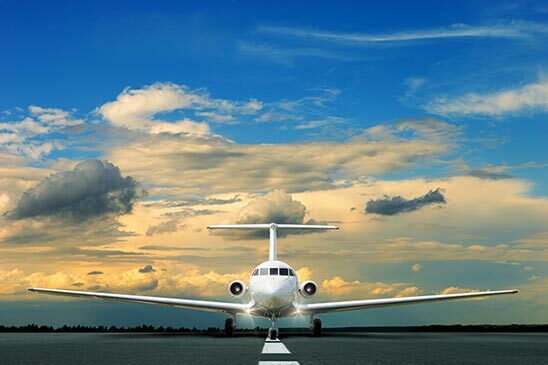 We make sure that no matter your location, you are able to get your goods to their plane in time; then when the plane lands, we’ll carry them onward to their final destination. Don’t take chances on something as critical as shipping. For more information, contact SameDayCourier.com today at (800) 713-1000.